Mr. Abdelazim Zaher holds a Bachelor’s degree in law from the Faculty of Sharia and Law – Al-Azhar University in 2006. 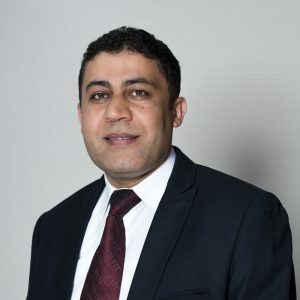 He joined the Egyptian Bar Association in the Arab Republic of Egypt and also holds a Professional Diploma in Arabic and International Arbitration for commercial and investment disputes. He engages in Legal Consultations pertaining to various branches of law in Egypt and the United Arab Emirates. Some of the major areas of specialization include civil and commercial matters, real estates disputes, labor cases, banking and Insurance, commercial contracts, construction contracts, investment disputes, Sharia laws, rental disputes and maritime law. Mr. Abdelazim Zaher joined Al-Kabban and Associates in 2015 as a legal consultant and has been a contributing asset to the firm since.